Google has now integrated the Google+ social network into its popular Gmail services. Users of these two interfaces will be able to contact each other via email, without having needed to exchange email addresses. This new feature becomes apparent when you begin to type in the “To” field of a new email. Gmail’s autocomplete function suggests contacts names that match the letters you are typing into the “To” field and your Google+ connections will appear below your Gmail contacts. Google has ensured that controls are in place that will protect your privacy when it comes to using this new feature. Users can specify who can send emails to them by choosing from various options. Users can choose from allowing anyone on Google+ to email them, whether they are in their circles or not, to opting out of the feature completely and continuing with Gmail as it is. Users can also decide whether they want to allow their circles or extended circles to email them.Google also wants to make it clear that a user’s email address is not visible to a Google+ connection until emails have been exchanged between both users. This new feature also breaks the Gmail inbox down into subcategories or tabbed sections. When you choose to set up this feature so that your circles can email you, all emails received from your Google+ circles will appear in the “Primary” category of your inbox. Your “Primary” category of your inbox also receives all of your standard emails and all fax to email messages. Other Google+ emails, from users who are not in your circles, will be filtered under the “Social” tab. Users whose emails appear under the social tab will only be able to start a conversation with you once you have responded to them or added them to your Google+ circles. There is no doubt that the feature provides practicality to Gmail and Google+ users who are trying to reach each other when they are not in possession of a user’s email address. Google will be integrating this feature over the next couple of days to anyone who has a Gmail and Google+ account. Users will be alerted when the feature has become available to them. The fact that Gmail is a free email service, why not have free faxes sent to your Gmail email account as well? 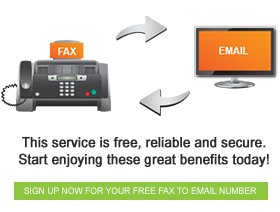 This will provide you with a totally free online environment between your free fax to email service and your free email account.